2. Enter your User ID and click "Continue". 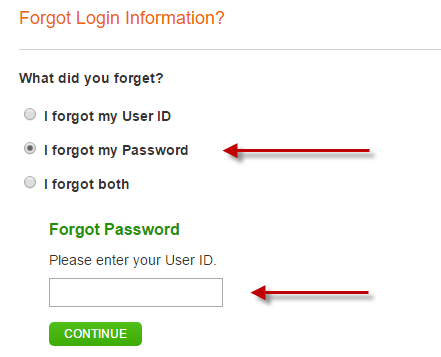 If you do not know your user ID, select "I forgot my user ID"
5. Enter the password reset code you received in the previous step and your new password.